Help Chuchii fulfill her destiny and become the tribal cook! Chuchii's destiny has been decided: she's to become the tribe's cook. If only she knew how to run a café! 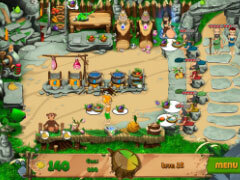 Help her succeed in her new role as the cook, waitress and manager of Stone Age Cafe. 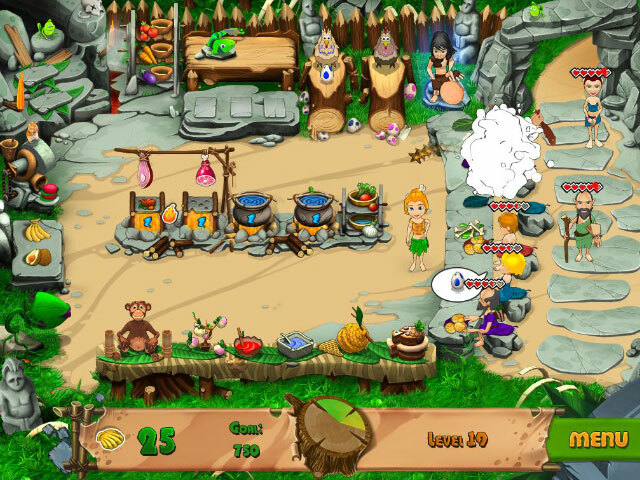 This fun, time management game is set in the stone age and features newbie, casual and expert game play options, each with 60 levels of play and 3 types of cafes. 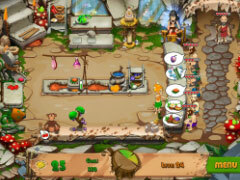 Chuchii will discover that a good cook can not only save the day but also change the fate of the whole tribe. 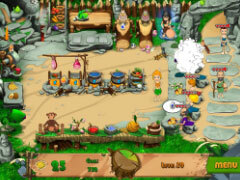 Play Stone Age Cafe today!